Email marketing is still considered an effective strategy to generate the desired number of sales. In the social media era, who still relies on emails as a communication method? Way more than you think, actually! Over 3.5 million people utilized email as a mean of communication in 2017. With such a high number of users, you can’t expect not to receive a good ROI from email marketing. However, with changing trends, it’s essential to stay up-to-date with top-notch email marketing tactics that can generate more traffic and improve sales. To help, we have compiled the best practices in email marketing you can utilize to experience better results this year. Lead generation via emails is not as easy as it was a few years back. With a rising number of spammers using black marketing tactics to lure people to their landing pages, readers have lost trust in promotional emails. Instead of directly sending emails to unknown individuals, it’s preferable to focus on those individuals who have either subscribed to your emails or have shown interest in your products and services. Email engagement is significant to improve email deliverability, and the last thing you would want is your email to land in the spam folder. Don’t follow a procedure that irritates your email receivers and focus on the following aspects to generate high-quality email leads. As I mentioned above, sending emails to random people will only destroy your domain’s credibility and eventually gets you noticed by ISPs for all the wrong reasons. That will ultimately lead you towards your domain’s name being added to the blacklist. A great way to compile a list of users who will read and respond to your emails is by increasing the number of subscribers. To start off, simply add a ‘subscribe now’ box in the header and footer of your website. Remember to put an attractive call-to-action that’ll persuade visitors to sign-up. By sending emails to subscribers, you’ll witness a rise in client response and email deliverability. With exciting and attractive emails you may even generate leads that are likely to convert. This tactic won’t annoy the readers and also increase your list of subscribers. The following are ways you can improve your email subscribers. This is a common practice being used by many prestigious websites. By displaying a pop-up at the end of your content, you’ll have high chances of visitors subscribing. However, pop-ups tend to be quite irritating if not used correctly. You should focus on posting pop-up content that is informative and interesting. Apart from that, your pop-up should also be attractive or else; you may even force the reader to leave your domain. Lead generation is only beneficial if it converts. Therefore, your marketing emails should have a link that leads to a dedicated landing page. An optimized landing page with an attractive and colorful CTA is likely to increase your click-through rate. To make the page appealing, you should design it beautifully using striking templates. Apart from that, you can also include short customer reviews and images to make the page eye-catchy. The homepage of a website is usually the most visited of the whole site. You can use it to leverage your email subscribers. Whenever a visitor enters your homepage, you can utilize a home gate to welcome them with a warm message and an offer that’ll convince them to subscribe on the spot. Since your homepage has better traffic, with a home gate, you can improve your subscription rate by 51.7%. It is a relatively new, yet effective strategy to increase your subscribers by 600%. Many businesses have integrated this new technology by installing a plug-in on their web pages. This is how it works: Whenever a visitor is about to close the tab or browser, the exit-intent will trigger a pop-up, and most probably the person will stop to see what has come up. You can create an attractive pop-up and get pleasing results by persuading the leaving visitor to convert. You’ll come across many people of different natures and mindsets, so why send them all the same emails? By segmenting your email subscribers, you can personalize the content and offers according to your receiver’s interests and needs. It may sound like a time-consuming strategy, but it’s worth the effort with an increase in revenue up to 760%. Geo-targeted emails based on language, state, country, and environment. These emails will help you target readers from different geo-locations of the world. Emails targeted on individual’s interest and activities, e.g., products searched on your website, products bought, email responsiveness, etc. Targeting emails based on different demographics like gender, profession, age, education, and level of income. Another segment you can focus on depends on where you captured the email lead. If it’s a subscriber form your website, then it’s pretty apparent they have shown interest in your products so you can target them accordingly. However, if you are thinking about sending an email to a new individual, you can’t jump straight to the conclusion. Instead, you have to first attract the person by capturing their interest. If you find success in that, you can consider sending a sales email for conversion. There is no doubt that your email has to be visually inspiring and interactive to engage with the receiver. However, many businesses focus only on the visual aspects of an email and fail to use the right words. You have to make your email look professional and creative at the same time. Wondering why high-quality content is necessary for your email marketing strategy? Take a look! Emails that focus on the text are considered readable on almost all devices. Nowadays, individuals can check their emails on PCs, mobile phones, smart TVs, wearables and even game consoles. Size of screens and resolution defer on all these platforms, which indicates that your email may appear differently with images. However, emails with more plain texts will always display similarly on various platforms. Emails that are filled with high-quality images are more abundant and require more bandwidth to deliver. Apart from that, they also need more loading time, especially if your internet speed isn’t up to the mark. That doesn’t mean that you should never use images, use them to a limit. – follow the rules of the CAN-SPAM Act, properly code the email with an attractive piece of content and witness your email deliverability rate rise. If you search for ‘how spam emails look like,’ you’ll mostly come across templates with either only images or only text. ­­­­- A balance is necessary to earn your reader’s trust. With an increase in people using The Internet on their mobile phones, 53% of emails get read on it. Reading emails and using the internet on phones is a more comfortable and faster option compared to PCs. Those days are long gone, when you had to get up and turn on your laptop or PC to start and load all emails. Today, if you have a WIFI connection or data connection on your smartphone, all you have to do is keep your sync active, and you’ll get notified of receiving emails. All major email platforms like Gmail, Yahoo, and Hotmail, have introduced mobile apps for users to access their emails regardless of their location easily. However, that doesn’t mean people have stopped using other sources of reading emails. In 2016, over 16% of users still used a desktop to access their emails. After evaluating these stats, your primary focus should mostly be on optimizing your emails for smartphones. You don’t have to worry about how your optimized mobile email will appear on desktops or web browsers. 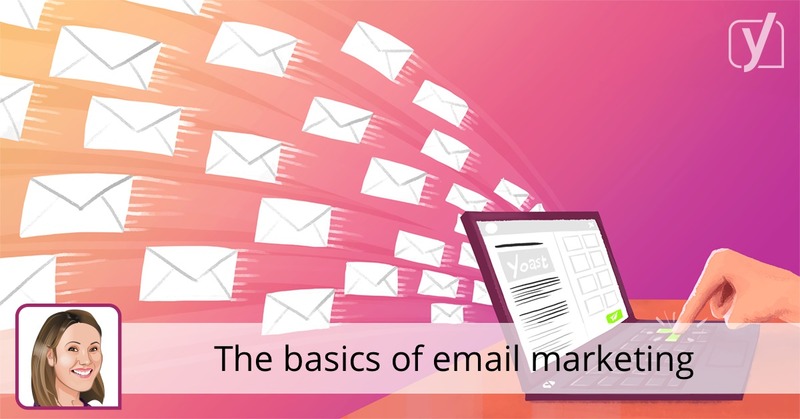 Because, with a rise in innovative coding software, your emails can be optimized to fit in all types of email reading platforms. Email marketing has displayed signs of growth with stats showing an ROI of 3800% over the years. You can expect the numbers to increase with many top businesses switching to email marketing tactics. However, you need to plot an effective plan and initiate the campaign according to the market trends. Note, sending the right email at the right time should be your ultimate goal to process an effective email marketing campaign.